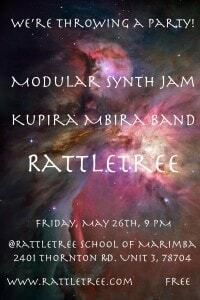 Monday’s rehearsal, our final practice before the Rattletree Party this Friday (see details below), started off slow. We began with our usual routine: clearing the stage, setting up the marimbas, attaching the mic racks, running and plugging in twenty or so mics, installing the marimba lights, powering up several midi controllers, tweaking the mic routing, confirming that sound is coming through the mains, calibrating the video projectors, among a handful of other tasks. As it goes, this well-oiled machine, so to speak (wrought through endless setups and teardowns), came to a shatteringly silent halt because one measly prong snapped off of the AC adapter specifically designed for our in-ear monitor system. Luckily, Joel rummaged through the tangles of cords and cables scattered throughout his office and found the components needed to construct a makeshift adapter capable of supplying power to four separate devices. 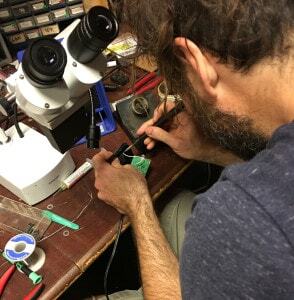 Here is a picture of Joel performing this high-voltage surgery in the lab. With our noses now readied to detect the slightest smell of burning plastic, our rehearsal officially began. This session was noteworthy because it marked the first full run-through with our new song “Flight” incorporated into the set. And, significantly, with “Flight,” also came the successful integration of the newest member of Rattletree: Joel’s portable rack of modular signal processors. This little firebrand harnesses the power to incite drastic action allowing its user to radically operate at and manipulate the threshold between sonic order and chaos. In short, this “gizmo,” to use Michael’s term of endearment, is awesome in its affective and effective capabilities. The brief clip below catches Joel setting it up: with the turn of a few nobs and connection of a quiver of cables, the backing tracks to “Joy” immediately sounded like they have never before. The middle section of “Flight,” bookended by opening and closing sections that feature heavy-hitting acid synth lines and driving drum patterns, is characterized by an open, spacious texture of wave-like white-noise oscillations undergirded by a pulsing kick-synth groove. On top of this, there is spoken narration in which Joel recounts a particular childhood dream where he became lost in flight and moved beyond the known dimensions of our galaxy. With the addition of the modular synths, Joel is now able to perform this spoken part live while simultaneously manipulating the pitched, temporal, and timbral qualities of his voice – all of this resulting in a clear aural signification of the narrated dream itself. The live signal processing, of course, does not just stop with “Flight.” Throughout our run-through of the set, Joel excitedly hunched over the modular rack (positioned conveniently next to his marimba) interjecting moments of synthesized improvisation in and between our other songs. 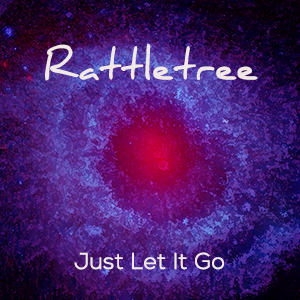 At the end of the rehearsal, sharing a mutual air of contentment, we agreed that, indeed, the Rattletree project is “starting to feel like something big…finally.” All of this to say, we are really excited to share all that we have been working on at the party this Friday evening! 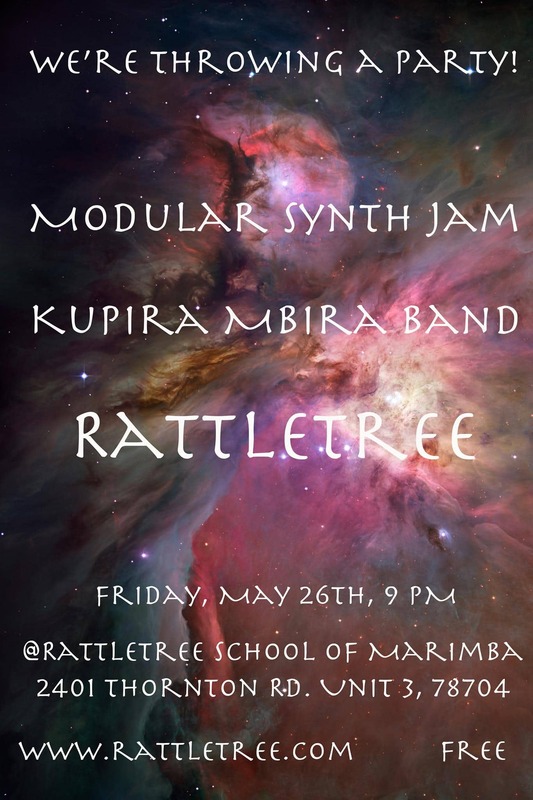 The evening will begin with a modular synth jam followed by mbira performed by members of Kupira Marimba and then a dance party with Rattletree. Hope to see you there!